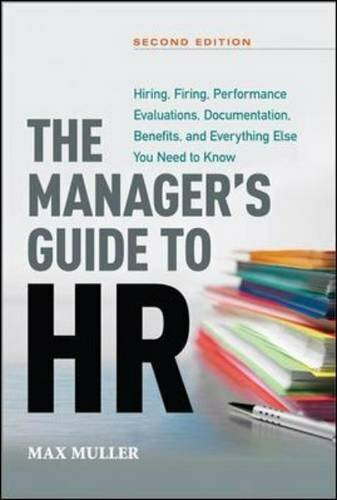 A quick and ready reference, The Manager’s Guide to HR has long been the gold standard to those needing clarification on hot-button issues such as privacy, working place conflict, sexual harassment, disabilities, and more. This bestseller answers all the questions you’re likely to ask as an HR manager, people manager, or small-business owner, such as How much documentation do you need to keep on each employee? What steps must you take before firing a problem employee? What’s the best way to confront complicated staff issues, and even workplace violence? The Fair Labor Standards Act (FLSA) guidance on tips and its final rule on the Fluctuating Workweek Method. The Occupational Safety and Health Administration’s (OSHA) Hazard Communication (HAZCOM) standard (regulation) that applies to every private sector and to most public sector employers. The Wage & Hour Division’s enforcement efforts surrounding “off-the-clock work” and its rules pertaining to independent contractors. Substantial increase in the coverage of the Equal Pay Act. The Equal Employment Opportunity Commission’s (EEOC) final recordkeeping rule related to the Genetic Information Nondiscrimination Act (GINA). New content explaining how an employer can create a response team to deal with probable or actual instances of workplace violence. The book provides a clear, thorough overview of federal laws--what they protect against, how they are enforced, and what penalties may be enforced when they are broken. Max Muller is an attorney and speaker who has specialized in human resource law for more than 30 years.